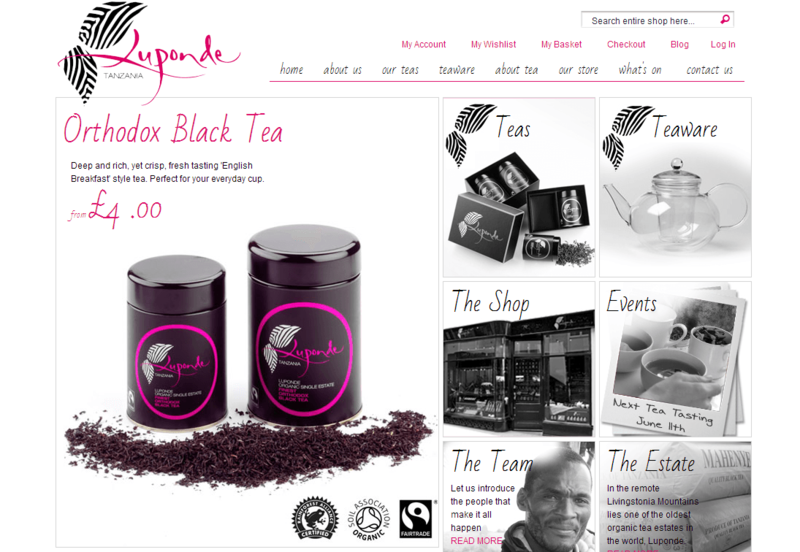 Fairtrade tea company, Luponde came to us with an amazing product, great values and a unique way of producing something special. Their existing website didn’t say enough about them and we wanted to produce something that represented the way that they work and what they do differently to create a brilliant product. From the initial meeting we had a good idea of what the team at Luponde did like about their existing website and we knew what they wanted to change. This gave us a good foundation for the design process and paved the way for the next stages. Once the design had been confirmed we continued building each individual page bespoke to their requirements and then added all the content. The site was launched on time for their upcoming season of food fairs and shows. We’re really happy with the launch of this website and we hope you like it too!